The following excerpt is President Obama’s answer to a question from CBS reporter Bill Plante, who asked if the United States and the President have lost influence in the world. Apparently people have forgotten that America, as the most powerful country on Earth, still does not control everything around the world. Our diplomatic efforts often take time. They often will see progress & then a step backwards. That’s been true in the Middle East, that’s been true in Europe, that’s been true in Asia. That’s the nature of world affairs. It’s not neat and it’s not smooth. But if you look at, for example, Ukraine. We have made progress on delivering on what we said we would do. We can’t control how Mr. Putin thinks. But what we can do is say to Mr. Putin, “If you continue on the path of arming separatists with heavy armaments that evidence suggests may have resulted in 300 innocent people on a jet dying, and that violates international law, undermines the territorial & sovereign integrity of Ukraine, then you’re going to face consequences that will hurt your country. There was a lot of skepticism about our ability to coordinate with Europeans for a strong series of sanctions, and each time we have done what we said we would do, including this week when we put in place sanctions that have an impact on key sectors of the Russian economy – their energy, their defense, their financial systems. It hasn’t resolved the problem yet, I spoke to Mr. Putin this morning, and I indicated to him just as we will do what we say we do in terms of sanctions, we’ll also do what we say we do in terms of resolving this issue diplomatically if he takes a different position. If he respects and honors the right of Ukrainians to determine their own destiny, then it’s possible to make sure that Russian interests are addressed that are legitimate and that Ukrainianas are able to make their own decisions, and we can resolve this conflict and end some of the bloodshed. But the point is though, Bill, if you look at the 20th century and the early part of this century, there are a lot of conflicts that America doesn’t resolve. That’s always been true. That doesn’t mean we stop trying. And it’s not a measure of American influence on any given day or at any given moment, that there are conflicts around the world that are difficult. Conflict in Northern Ireland raged for a very, very long time until finally something broke where the parties decided that it wasn’t worth killing each other. The Palestinian-Israeli conflict’s been going on even longer than you’ve been reporting. [Laughter among White House Press Corps] I don’t think at any point was there a suggestion somehow that America didn’t have influence just because we weren’t able to finalize an Israeli-Palestinian peace deal. You will recall that situations like Kosovo and Bosnia raged on for quite some time, and there was a lot more death and bloodshed than there has been so far in the Ukrainian situation before it ultimately did get resolved. I recognize with so many different issues popping up around the world sometimes it may seem as if this is an aberration or it’s unusual, but the truth of the matter is that there’s a big world out there and as indispensable as we are to try to lead it, there are still going to be tragedies out there and there are going to be conflicts, and our jobs is to just make sure we continue to project what’s right, what’s just, and that we’re building coalitions of like-minded countries and partners in order to advance not only our core security interests but also the interests of the world as a whole. Well look, I think, Bill, the nature of being President is you’re always asking yourself what more can you do. But with respect to, let’s say, the Israeli-Palestinian issue, this Administration invested an enormous amount to try to bring the parties together around a framework for peace and a 2-state solution. John Kerry invested an enormous amount of time. In the end, it’s up to the 2 parties to make a decision. We can lead them to resolve some of the technical issues and to show them a path, but they’ve got to want it. With respect to Ukraine, I think that we have done everything we can to support the Ukrainian government and to deter Russia from moving further into Ukraine. But short of going to war, there are going to be some constraints in terms of what we can do if President Putin and Russia are ignoring what should be their long-term interest. Right now what we’ve done is impose sufficient costs on Russia that, objectively speaking, they should, President Putin should, want to resolve this diplomatically, get these sanctions lifted, get their economy growing again and have good relations with Ukraine. But sometimes people don’t always act rationally, and they don’t always act based on their medium- or long-term interests. That can’t deter us, though, we’ve just got to stay at it. This entry was posted in diplomacy, government, national security, terrorism, video and tagged diplomacy, Gaza, Israel, Palestine, Putin, Russia, sanctions, Ukraine on August 1, 2014 by Kat 4 Obama. 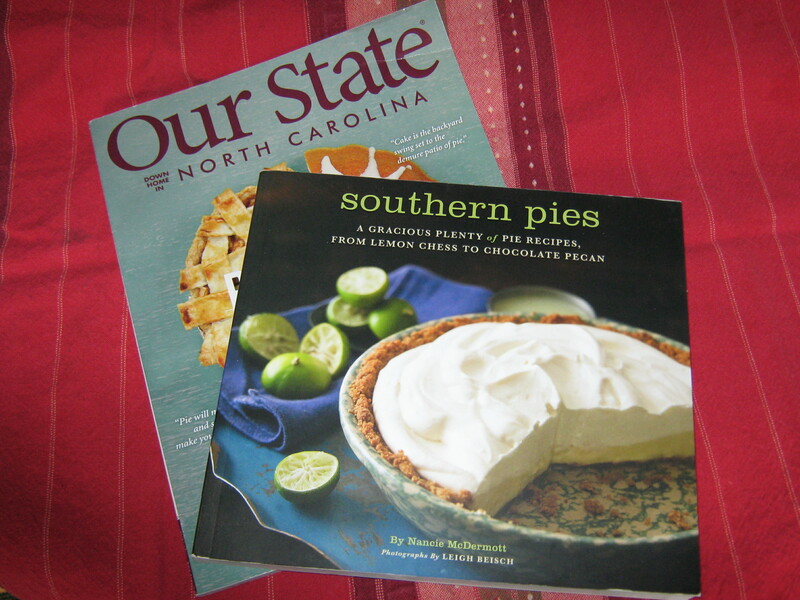 This entry was posted in arts and culture, food and tagged baking, cookbook, Nancie McDermott, North Carolina, pies on February 8, 2014 by Kat 4 Obama. Good afternoon, everybody. I know you are all eager to skip town and spend some time with your families. Not surprisingly, I am, too. But you know what they say — it’s the most wonderful press conference of the year — right now. (Laughter.) I am eager to take your questions, but first, I just want to say a few words about our economy. And for all the challenges we’ve had and all the challenges that we’ve been working on diligently in dealing with both the ACA and the website these past couple months, more than half a million Americans have enrolled through healthcare.gov in the first three weeks of December alone. In California, for example, a state operating its own marketplace, more than 15,000 Americans are enrolling every single day. And in the federal website, tens of thousands are enrolling every single day. Since October 1st, more than one million Americans have selected new health insurance plans through the federal and state marketplaces. So, all told, millions of Americans, despite the problems with the website, are now poised to be covered by quality, affordable health insurance come New Year’s Day. Now, this holiday season, there are mothers and fathers and entrepreneurs and workers who have something new to celebrate — the security of knowing that when the unexpected or misfortune strikes, hardship no longer has to. And you add that all up and what it means is we head into next year with an economy that’s stronger than it was when we started the year. More Americans are finding work and experiencing the pride of a paycheck. Our businesses are positioned for new growth and new jobs. And I firmly believe that 2014 can be a breakthrough year for America. But as I outlined in detail earlier this month, we all know there’s a lot more that we’re going to have to do to restore opportunity and broad-based growth for every American. And that’s going to require some action. It’s a good start that earlier this week, for the first time in years, both parties in both houses of Congress came together to pass a budget. That unwinds some of the damaging sequester cuts that created headwinds for our economy. It clears the path for businesses and for investments that we need to strengthen our middle class, like education and scientific research. And it means that the American people won’t be exposed to the threat of another reckless shutdown every few months. So that’s a good thing. I believe that work should begin with something that Republicans in Congress should have done before leaving town this week, and that’s restoring the temporary insurance that helps folks make ends meet when they are looking for a job. Because Congress didn’t act, more than one million of their constituents will lose a vital economic lifeline at Christmastime, leaving a lot of job-seekers without any source of income at all. I think we’re a better country than that. We don’t abandon each other when times are tough. Keep in mind unemployment insurance only goes to folks who are actively looking for work — a mom who needs help feeding her kids when she sends out her resumes, or a dad who needs help paying the rent while working part-time and still earning the skills he needs for that new job. So when Congress comes back to work, their first order of business should be making this right. I know a bipartisan group is working on a three-month extension of this insurance. They should pass it, and I’ll sign it right away. Let me repeat: I think 2014 needs to be a year of action. We’ve got work to do to create more good jobs, to help more Americans earn the skills and education they need to do those jobs and to make sure that those jobs offer the wages and benefits that let families build a little bit of financial security. We still have the task of finishing the fix on our broken immigration system. We’ve got to build on the progress we’ve painstakingly made over these last five years with respect to our economy and offer the middle class and all those who are looking to join the middle class a better opportunity, and that’s going to be where I focus all of my efforts in the year ahead. And let me conclude by saying just as we’re strengthening our position here at home, we’re also standing up for our interests around the world. This year, we’ve demonstrated that with clear-eyed, principled diplomacy, we can pursue new paths to a world that’s more secure — a future where Iran does not build a nuclear weapon; a future where Syria’s chemical weapons stockpiles are destroyed. By the end of next year, the war in Afghanistan will be over, just as we’ve ended our war in Iraq, and we’ll continue to bring our troops home. And, as always, we will remain vigilant to protect our homeland and our personnel overseas from terrorist attacks. So, before I wish a Merry Christmas to all, and to all a good night, I will take some questions. Jay prepared a list of who’s naughty and nice — (laughter) — so we’ll see who made it. I’ve got to tell you, Julie, that’s not how I think about it. I have now been in office five years — close to five years — was running for President for two years before that, and for those of you who’ve covered me during that time, we have had ups and we have had downs. I think this room has probably recorded at least 15 near-death experiences. And what I’ve been focused on each and every day is are we moving the ball in helping the American people — families — have more opportunity, have a little more security to feel as if, if they work hard, they can get ahead. A manufacturing hub that we set up in Youngstown, something that I talked about during the State of the Union, is going to create innovation and connect universities, manufacturers, job training to help create a renaissance — build on the renaissance that we’re seeing in manufacturing. THE PRESIDENT: But, Julie, I guess what I’m saying is if you’re measuring this by polls, my polls have gone up and down a lot through the course of my career. I mean, if I was interested in polling, I wouldn’t have run for President. I was polling at 70 percent when I was in the U.S. Senate. I took this job to deliver for the American people. And I knew and will continue to know that there are going to be ups and downs on it. You’re right, the health care website problems were a source of great frustration. I think in the last press conference I adequately discussed my frustrations on those. On the other hand, since that time I now have a couple million people, maybe more, who are going to have health care on January 1st. And that is a big deal. That’s why I ran for this office. And as long as I’ve got an opportunity every single day to make sure that in ways large and small I’m creating greater opportunity for people — more kids are able to go to school, get the education they need; more families are able to stabilize their finances; the housing market is continuing to improve; people feel like their wages maybe are inching up a little bit — if those things are happening, I’ll take it. And I’ve said before, I’ve run my last political race. So at this point, my goal every single day is just to make sure that I can look back and say we’re delivering something — not everything, because this is a long haul. Q Thank you, Mr. President. One of the most significant events of this year was the revelation of the surveillance by the National Security Agency. As you review how to rein in the National Security Agency, a federal judge said that, for example, the government had failed to cite a single instance in which analysis of the NSA’s bulk metadata actually stopped an imminent attack. Are you able to identify any specific examples when it did so? Are you convinced that the collection of that data is useful to national security and should continue as it is? Let me talk more broadly, and then I’ll talk specifically about the program you’re referring to. As you know, the independent panel that I put together came back with a series of recommendations, 46 in total. I had an extensive meeting with them down in the Situation Room to review all the recommendations that they had made. I want to thank them publicly, because I think they did an excellent job and took my charge very seriously, which is I told them I want you to look from top to bottom at what we’re doing and evaluate whether or not the current structures that we have and the current programs that we have are properly addressing both our continuing need to keep ourselves secure and to prevent terrorist attacks, or proliferation of weapons of mass destruction or other threats to the homeland, and are we also making sure that we’re taking seriously rule of law and our concerns about privacy and civil liberties. So what we’re doing now is evaluating all the recommendations that have been made. Over the next several weeks, I’m going to assess based on conversations not just with the intelligence community but others in government and outside of government how we might apply and incorporate their recommendations. And I’m going to make a pretty definitive statement about all of this in January where I’ll be able to say, here are the recommendations that we think make sense; here are ones that we think are promising but still need to be refined further; here’s how it relates to the work we’re doing not just internally but also in partnership with other countries. And so I’m taking this very seriously because I think, as I’ve said before, this is a debate that needed to be had. One specific program, the 215 program, is the metadata, the bulk collection of phone numbers and exchanges that have taken place that has probably gotten the most attention, at least with respect to domestic audiences. And what I’ve said in the past continues to be the case, which is that the NSA, in executing this program, believed, based on experiences from 9/11, that it was important for us to be able to track if there was a phone number of a known terrorist outside of the United States calling into the United States, where that call might have gone, and that having that data in one place and retained for a certain period of time allowed them to be confident in pursuing various investigations of terrorist threats. And I think it’s important to note that in all the reviews of this program that have been done, in fact, there have not been actual instances where it’s been alleged that the NSA in some ways acted inappropriately in the use of this data. But what is also clear is from the public debate, people are concerned about the prospect, the possibility of abuse. And I think that’s what the judge and the district court suggested. And although his opinion obviously differs from rulings on the FISA Court, we’re taking those into account. The question we’re going to have to ask is can we accomplish the same goals that this program is intended to accomplish in ways that give the public more confidence that, in fact, the NSA is doing what it’s supposed to be doing. I have confidence in the fact that the NSA is not engaging in domestic surveillance or snooping around, but I also recognize that as technologies change and people can start running algorithms and programs that map out all the information that we’re downloading on a daily basis into our telephones and our computers, that we may have to refine this further to give people more confidence. And I’m going to be working very hard on doing that. And we’ve got to provide more confidence to the international community. In some ways, what has been more challenging is the fact that we do have a lot of laws and checks and balances and safeguards and audits when it comes to making sure that the NSA and other intelligence agencies are not spying on Americans. We’ve had less legal constraint in terms of what we’re doing internationally. But I think part of what’s been interesting about this whole exercise is recognizing that in a virtual world, some of these boundaries don’t matter anymore, and just because we can do something doesn’t mean we necessarily should. And the values that we’ve got as Americans are ones that we have to be willing to apply beyond our borders I think perhaps more systematically than we’ve done in the past. Q Thank you, Mr. President. I want to follow up on that because — and merry Christmas, by the way. Q When Edward Snowden first started leaking the information, you made a statement on June 7th in California, and you claimed to the American people that you had already reformed many of these surveillance programs. You said you came into office — “my team evaluated them, we scrubbed them thoroughly, we actually expanded some of the oversight,” and you did expand some of it. Q so why were you so — why did you say we struck the right balance? So the point is, Ed, not that my assessment of the 215 program has changed in terms of technically how it works. What is absolutely clear to me is that given the public debate that’s taken place and the disclosures that have taken place over the last several months, that this is only going to work if the American people have confidence and trust. Q You put it on your back. And so my question is do you have any personal regrets? You’re not addressing the fact the public statements you’ve made to reassure the public — your Director of National Intelligence, James Clapper, months ago went up, got a question from a Democrat, not a Republican, about whether some of this was going on, and he denied it. Doesn’t that undermine the public trust? Q He’s the Director of National — he’s still on the job. I understand. But what I’m saying is this, that, yes, these are tough problems that I am glad to have the privilege of tackling. Your initial question was whether the statements that I made six months ago are ones that I don’t stand by. And what I’m saying is, is that the statements I made then are entirely consistent with the statements that I make now, which is that we believed that we had scrubbed these programs and struck an appropriate balance, and there had not been evidence and there continues not to be evidence that the particular program had been abused in how it was used, and that it was a useful tool, working with other tools that the intelligence community has, to ensure that if we have a thread on a potential terrorist threat, that that can be followed effectively. What I’ve also said, though, is that in light of the disclosures that have taken place, it is clear that whatever benefits the configuration of this particular program may have may be outweighed by the concerns that people have on its potential abuse. And if that’s the case, there may be another way of skinning the cat. So we just keep on going at this stuff and saying, can we do this better? Can we do this more effectively? I think that the panel’s recommendations are consistent with that. So if you had a chance to read the overall recommendations, what they were very clear about is we need this intelligence. We can’t unilaterally disarm. There are ways we can do it potentially that gives people greater assurance that there are checks and balances, that there’s sufficient oversight, sufficient transparency. Programs like 215 could be redesigned in ways that give you the same information when you need it without creating these potentials for abuse. And that’s exactly what we should be doing, is to evaluate all these things in a very clear, specific way, and moving forward on changes. And that’s what I intend to do. Q Thank you, Mr. President. It’s been a tough year. You may not want to call it the worst year of your presidency, but it’s clearly been a tough year. The polls have gone up and down, but they are at a low point right now. So what I’m asking you — you’ve acknowledged the difficulties with the health care rollout. But when you look back and you look at the decisions that you have made and what you did, what you didn’t do, for you personally, what do you think has been your biggest mistake? With respect to health care, specifically, or just generally? Well, there’s no doubt that when it came to the health care rollout, even though I was meeting every other week or every three weeks with folks and emphasizing how important it was that consumers had a good experience, an easy experience in getting the information they need, and knowing what the choices and options were for them to be able to get high-quality, affordable health care, the fact is it didn’t happen in the first month, the first six weeks, in a way that was at all acceptable. And since I’m in charge, obviously we screwed it up. Part of it, as I’ve said before, had to do with how IT procurement generally is done, and it almost predates this year. Part of it, obviously, has to do with the fact that there were not clear enough lines of authority in terms of who was in charge of the technology and cracking the whip on a whole bunch of contractors. So there were a whole bunch of things that we’ve been taking a look at, and I’m going to be making appropriate adjustments once we get through this year and we’ve gotten through the initial surge of people who’ve been signing up. But having said all that, bottom line also is, is that we’ve got several million people who are going to have health care that works. And it’s not that I don’t engage in a lot of self-reflection here. I promise you, I probably beat myself up even worse than you or Ed Henry does on any given day. But I’ve also got to wake up in the morning and make sure that I do better the next day, and that we keep moving forward. And when I look at the landscape for next year, what I say to myself is, we’re poised to do really good things. The economy is stronger than it has been in a very long time. Our next challenge then is to make sure that everybody benefits from that, not just a few folks. And there are still too many people who haven’t seen a raise and are still feeling financially insecure. We can get immigration reform done. We’ve got a concept that has bipartisan support. Let’s see if we can break through the politics on this. I think that, hopefully, folks have learned their lesson in terms of brinksmanship, coming out of the government shutdown. There have been times where I thought about, were there other ways that I could have prevented those three, four weeks that hampered the economy and hurt individual families who were not getting a paycheck during that time — absolutely. But I also think that, in some ways, given the pattern that we had been going through with House Republicans for a while, we might have needed just a little bit of a bracing sort of recognition that this is not what the American people think is acceptable. They want us to try to solve problems and be practical, even if we can’t get everything done. Q Thank you, Mr. President. On the debt ceiling, your Treasury Secretary has estimated that the U.S. government will lose its ability to pay its bills come late February or early March. House Budget Committee Chairman Paul Ryan has said that “Republicans are going to decide what it is they can accomplish on this debt limit fight” — his words. Will you negotiate with House Republicans on the debt ceiling? Oh, Brianna, you know the answer to this question. No, we’re not going to negotiate for Congress to pay bills that it has accrued. Here’s the good news — I want to emphasize the positive as we enter into this holiday season. I think Congressman Ryan and Senator Murray did a good job in trying to narrow the differences and actually pass a budget that I can sign. It’s not everything that I would like, obviously. It buys back part of these across-the-board cuts, the so-called sequester, but not all of them. So we’re still underfunding research; we’re still underfunding education; we’re still underfunding transportation and other initiatives that would create jobs right now. I think immigration potentially falls in that category, where let’s — here’s an area where we’ve got bipartisan agreement. There are a few differences here and there, but the truth of the matter is, is that the Senate bill has the main components of comprehensive immigration reform that would boost our economy, give us an opportunity to attract more investment and high-skilled workers who are doing great things in places like Silicon Valley and around the country. So let’s go ahead and get that done. To repeat: The debt ceiling is raised simply to pay bills that we have already accrued. It is not something that is a negotiating tool. It’s not leverage. It’s the responsibility of Congress. It’s part of doing their job. I expect them to do their job. Although I’m happy to talk to them about any of the issues that they actually want to get done. So if Congressman Ryan is interested in tax reform, let’s go. I’ve got some proposals on it. If he’s interested in any issue out there, I’m willing to have a constructive conversation of the sort that we just had in resolving the budget issues. But I’ve got to assume folks aren’t crazy enough to start that thing all over again. Q If I may just quickly, on a more personal note, what is your New Year’s resolution? My New Year’s resolution is to be nicer to the White House Press Corps. (Laughter.) You know? Absolutely. Q That’s quite a lead-in, Mr. President, thank you. Rick Leggett, who is the head of the NSA task force on Edward Snowden, told “60 Minutes” that it was, “worth having a conversation about granting Edward Snowden amnesty.” To what degree, sir, were you pleased that he floated this trial balloon? And under what circumstances would you consider either a plea agreement or amnesty for Edward Snowden? And what do you say to Americans, sir, who after possibly being alerted to Judge Leon’s decision earlier this week, reading the panel recommendations, do you believe Edward Snowden set in motion something that is proper and just in this country about the scope of surveillance and should not be considered by this government a criminal? I’ve got to be careful here, Major, because Mr. Snowden is under indictment, he’s been charged with crimes. And that’s the province of the Attorney General and, ultimately, a judge and a jury. So I can’t weigh in specifically on this case at this point. I’ll make — I’ll try to see if I can get at the spirit of the question, even if I can’t talk about the specifics. I’ve said before and I believe that this is an important conversation that we needed to have. I’ve also said before that the way in which these disclosures happened have been damaging to the United States and damaging to our intelligence capabilities. And I think that there was a way for us to have this conversation without that damage. I’ll give you just one specific example. The fact of the matter is that the United States, for all our warts, is a country that abides by rule of law, that cares deeply about privacy, that cares about civil liberties, that cares about our Constitution. And as a consequence of these disclosures, we’ve got countries who actually do the things that Mr. Snowden says he’s worried about very explicitly — engaging in surveillance of their own citizens, targeting political dissidents, targeting and suppressing the press — who somehow are able to sit on the sidelines and act as if it’s the United States that has problems when it comes to surveillance and intelligence operations. And that’s a pretty distorted view of what’s going on out there. So I think that as important and as necessary as this debate has been, it is also important to keep in mind that this has done unnecessary damage to U.S. intelligence capabilities and U.S. diplomacy. But I will leave it up to the courts and the Attorney General to weigh in publicly on the specifics of Mr. Snowden’s case. Q Sir, if I could follow up, Mr. Leggett is setting this in motion, at least raising this as a topic of conversation. You, sir, would I’m certain be consulted if there was ever going to be a conversation about amnesty or a plea bargain with Edward Snowden. What I’m saying is, is that there’s a difference between Mr. Leggett saying something and the President of the United States saying something. Q That’s why I’m trying to get at you. Q Thank you, Mr. President, and Merry Christmas and Happy New Year. You talk about the issues with health care and the website rollout, but there have been other issues — the misinformation about people keeping their policies, the extended deadlines, some postponements. We have a new waiver that HHS announced last night. How do you expect Americans to have confidence and certainty in this law if you keep changing it? This one here, this new waiver last night, you could argue you might as well have just delayed the mandate. Well, no, that’s not true, because what we’re talking about is a very specific population that received cancellation notices from insurance companies. The majority of them are either keeping their old plan because the grandfather clause has been extended further, or they’re finding a better deal in the marketplace with better insurance for cheaper costs. But there may still be a subset — a significantly smaller subset than some of the numbers that have been advertised — that are still looking for options, are still concerned about what they’re going to be doing next year. And we just wanted to make sure that the hardship provision that was already existing in the law would also potentially apply to somebody who had problems during this transition period. So that’s the specifics of this latest change. You’re making a broader point that I think is fair and that is that in a big project like this, that what we are constantly doing is looking, is this working the way it’s supposed to, and if there are adjustments that can be made to smooth out the transition, we should make them. But they don’t go to the core of the law. First of all, the core of the law is, is that for 85 percent of the population, all they’ve been getting is free preventive care, better consumer protections, and ability to keep their kids on their insurance plan until they’re 26, thousand-dollar or five hundred-dollar discounts on prescription drugs for seniors on Medicare. So 85 percent of the population, whether they know it or not, over the last three years have benefited from a whole set of the provisions of the law. And, by the way, if it were to be repealed, you would be taking away all those benefits from folks who already are enjoying them. The basic structure of [the Affordable Care Act] is working despite all the problems — despite the website problems, despite the messaging problems. Despite all that, it’s working. And again, you don’t have to take my word for it. We’ve got a couple million people who are going to have health insurance just in the first three months, despite the fact that probably the first month and a half was lost because of problems with the website and about as bad a bunch of publicity as you could imagine. And yet you’ve still got 2 million people who signed up, or more. And I’ve said before this is a messy process, and I think sometimes when I say that people say, well, A, yes, it’s real messy; and B, isn’t the fact that it’s been so messy some indication that there are more fundamental problems with the law? And I guess what I’d say to that, Chuck, is when you try to do something this big, affecting this many people, it’s going to be hard. And every instance — whether it’s Social Security, Medicare, the prescription drug plan under President Bush — there hasn’t been an instance where you tried to really have an impact on the American people’s lives and wellbeing, particularly in the health care arena, where you don’t end up having some of these challenges. The question is going to be ultimately, do we make good decisions trying to help as many people as possible in as efficient a way as possible. And I think that’s what we’re doing. Q But with 72 hours to go, you make this change where people are buying the junk — frankly, a junk-type policy that you weren’t — you were trying to get people away from. Well, keep in mind, Chuck, first of all, that the majority of folks are going to have different options. This is essentially an additional net in case folks might have slipped through the cracks. We don’t have precision on those numbers, but we expect it’s going to be a relatively small number, because these are folks who want insurance and the vast majority of them have good options. And in a state like North Carolina, for example, the overwhelming majority of them have just kept their own plans — the ones that they had previously. But we thought and continue to think that it makes sense that as we are transitioning to a system in which insurance standards are higher, people don’t have unpleasant surprises because they thought they had insurance until they hit a limit, and next thing you know they still owe $100,000 or $200,000 or $300,000 for a hospital visit — that as we transition to higher standards, better insurance, that we also address folks who get caught in that transition and there are unintended consequences. And I’ll be — that was the original intent of the grandfather clause that was in the law. Obviously, the problem was it didn’t catch enough people. And we learned from that, and we’re trying not to repeat those mistakes. Well, first of all, I haven’t attended Olympics in the past, and I suspect that me attending the Olympics, particularly at a time when we’ve got all the other stuff that people have been talking about, is going to be tough, although I would love to do it. I’ll be going to a lot of Olympic Games post-presidency. (Laughter.) I think the delegation speaks for itself. You’ve got outstanding Americans, outstanding athletes, people who will represent us extraordinarily well. And the fact that we’ve got folks like Billie Jean King or Brian Boitano, who themselves have been world-class athletes that everybody acknowledges for their excellence but also for their character, who also happen to be members of the LGBT community, you should take that for what it’s worth — that when it comes to the Olympics and athletic performance, we don’t make distinctions on the basis of sexual orientation. We judge people on how they perform, both on the court and off the court — on the field and off the field. And that’s a value that I think is at the heart of not just America, but American sports. It says that Max Baucus is going to be an outstanding ambassador to China, and I’d like a swift confirmation. And my expectation and hope is, is that if both the Senate Democrats — or if Democrats and Republicans in the House and the Senate are serious about tax reform, then it’s not going to depend on one guy, it’s going to depend on all of us working together. And my office is ready, willing, and eager to engage both parties and having a conversation about how we can simplify the tax code, make it fairer, make it work to create more jobs and do right by middle-class Americans. Q Since we’ve been looking back at the year, I’d like to ask you what your reaction was to the nonpartisan truth-telling group, PolitiFact, when it said that the lie of the year was your statement that if you like your health care plan, you can keep it. How about I separate out the Iran question from the health care question? On the health care question, look, I think I’ve answered several times — this is a new iteration of it — but bottom line is that we are going to continue to work every single day to make sure that implementation of the health care law and the website and all elements of it, including the grandfather clause, work better every single day. And as I’ve said in previous press conferences, we’re going to make mistakes, and we’re going to have problems, but my intentions have been clear throughout, which is, I just want to help as many people as possible feel secure and make sure that they don’t go broke when they get sick. And we’re going to just keep on doing that. On Iran, there is the possibility of a resolution to a problem that has been a challenge for American national security for over a decade now, and that is getting Iran to, in a verifiable fashion, not pursue a nuclear weapon. Already, even with the interim deal that we struck in Geneva, we had the first halt and, in some cases, some rollback of Iran’s nuclear capabilities — the first time that we’ve seen that in almost a decade. And we now have a structure in which we can have a very serious conversation to see is it possible for Iran to get right with the international community in a verifiable fashion to give us all confidence that any peaceful nuclear program that they have is not going to be weaponized in a way that threatens us or allies in the region, including Israel. And as I’ve said before and I will repeat, it is very important for us to test whether that’s possible, not because it’s guaranteed, but because the alternative is possibly us having to engage in some sort of conflict to resolve the problem with all kinds of unintended consequences. Now, I’ve been very clear from the start, I mean what I say: It is my goal to prevent Iran from obtaining a nuclear weapon. But I sure would rather do it diplomatically. I’m keeping all options on the table, but if I can do it diplomatically, that’s how we should do it. And I would think that would be the preference of everybody up on Capitol Hill because that sure is the preference of the American people. And we lose nothing during this negotiation period. Precisely because there are verification provisions in place, we will have more insight into Iran’s nuclear program over the next six months than we have previously. We’ll know if they are violating the terms of the agreement. They’re not allowed to accelerate their stockpile of enriched uranium — in fact, they have to reduce their stockpile of highly enriched uranium. Ironically, if we did not have this six-month period in which we’re testing whether we can get a comprehensive solution to this problem, they’d be advancing even further on their nuclear program. And in light of all that, what I’ve said to members of Congress — Democrats and Republicans — is there is no need for new sanctions legislation. Not yet. And so I’m not surprised that there’s been some talk from some members of Congress about new sanctions — I think the politics of trying to look tough on Iran are often good when you’re running for office or if you’re in office. But as President of the United States right now, who’s been responsible over the last four years, with the help of Congress, in putting together a comprehensive sanctions regime that was specifically designed to put pressure on them and bring them to the table to negotiate — what I’m saying to them, what I’ve said to the international community, and what I’ve said to the American people is let’s test it. Now is the time to try to see if we can get this thing done. And I’ve heard some logic that says, well, Mr. President, we’re supportive of the negotiations, but we think it’s really useful to have this club hanging over Iran’s head. Well, first of all, we still have the existing sanctions already in place that are resulting in Iran losing billions of dollars every month in lost oil sales. We already have banking and financial sanctions that are still being applied even as the negotiations are taking place. It’s not as if we’re letting up on that. I’ve heard arguments, well, but this way we can be assured and the Iranians will know that if negotiations fail even new and harsher sanctions will be put into place. Listen, I don’t think the Iranians have any doubt that Congress would be more than happy to pass more sanctions legislation. We can do that in a day, on a dime. But if we’re serious about negotiations, we’ve got to create an atmosphere in which Iran is willing to move in ways that are uncomfortable for them and contrary to their ideology and rhetoric and their instincts and their suspicions of us. And we don’t help get them to a position where we can actually resolve this by engaging in this kind of action. Okay, everybody, I think I’m going to take one more question. Colleen McCain Nelson. And that is it. I just had lunch with Pete Rouse, who is leaving me. And that’s tough. He says so right now at least. I love that guy and that will be a significant loss, although he’ll still be in town and, hopefully, I’ll be able to consult with him on an ongoing basis. I think the fact that John Podesta is coming in will be terrific. He may deny it, but I’ve been trying to get him in here for quite some time. He ran my transition office. I asked him when he was running the transition office if he would be willing to join us, and at that time I think he was still feeling that he wanted to develop CAP and other organizations. But John is a great strategist, as good as anybody on domestic policy. And I think he’ll be a huge boost to us and give us more bandwidth to deal with more issues. I suspect that we may have additional announcements in the New Year. There’s a natural turnover that takes place. People get tired. People get worn out. Sometimes, you need fresh legs. But what I can tell you is that the team I have now is tireless and shares my values, and believes the thing that I think I’ve repeated probably four or five times in this press conference, which is we get this incredible privilege for a pretty short period of time to do as much as we can for as many people as we can to help them live better lives. And that’s what drives them. That’s the sacrifice they make being away from families and soccer games and birthdays, and some of them will end up working over Christmas on issues like Iran. And the fact that they make those kinds of sacrifices I’m always grateful for. And if they then say to me after making those sacrifices for three, four, five years, I need a break, then I completely understand. This entry was posted in civil liberties, Congress, courts, crime, cybercrime, cybersecurity, diplomacy, economy, education, employment, GOP, government, gun safety, immigration, military, national security, NSA, Q & A, terrorism, video and tagged Affordable Care Act, Barack Obama, budget, Ed Snowden, health care, Iran, LGBT, Middle East, Obamacare, Olympics, Sochi 2014 on December 21, 2013 by Kat 4 Obama. The President and First Lady observe a moment of silence and light candles at the White House in honor of those lost at Sandy Hook Elementary School in Newtown, Connecticut. This entry was posted in gun safety, video, White House and tagged Barack Obama, candles, Connecticut, gun violence, Michelle Obama, Newtown, Sandy Hook on December 15, 2013 by Kat 4 Obama. “One year ago today, a quiet, peaceful town was shattered by unspeakable violence. Six dedicated school workers and 20 beautiful children were taken from our lives forever. As parents, as Americans, the news filled us with grief. Newtown is a town like so many of our hometowns. The victims were educators and kids that could have been any of our own. And our hearts were broken for the families that lost a piece of their heart; for the communities changed forever; for the survivors, so young, whose innocence was torn away far too soon. But beneath the sadness, we also felt a sense of resolve – that these tragedies must end, and that to end them, we must change. From the very beginning, our efforts were led by the parents of Newtown – men and women, impossibly brave, who stepped forward in the hopes that they might spare others their heartbreak. And they were joined by millions of Americans – mothers and fathers; sisters and brothers – who refused to accept these acts of violence as somehow inevitable. Over the past year, their voices have sustained us. And their example has inspired us – to be better parents and better neighbors; to give our children everything they need to face the world without fear; to meet our responsibilities not just to our own families, but to our communities. More than the tragedy itself, that’s how Newtown will be remembered. And on this anniversary of a day we will never forget, that’s the example we should continue to follow. Because we haven’t yet done enough to make our communities and our country safer. We have to do more to keep dangerous people from getting their hands on a gun so easily. We have to do more to heal troubled minds. We have to do everything we can to protect our children from harm and make them feel loved, and valued, and cared for. And as we do, we can’t lose sight of the fact that real change won’t come from Washington. It will come the way it’s always come – from you. From the American people. This entry was posted in crime, gun safety, video, Weekly Address and tagged Barack Obama, Connecticut, gun violence, Newtown, Sandy Hook on December 15, 2013 by Kat 4 Obama. “Well, it is a great pleasure to welcome not only some of the most outstanding mayors in the country, but also folks who are representing incredible cities, world-class cities, that are going to be central to America’s economic growth and progress for years to come. I’ve always said that mayors don’t have time to be ideological, and they don’t really have time to be partisan, because they, every day, are held accountable for concretely delivering the services that people count on all across the country. And I think it’s for that reason that when we think about mayors, we think about folks who actually get stuff done. This is an outstanding group of both mayors and mayors-elect, representing some of our largest cities. They have a shared vision of cities as being critical hubs in which we’re creating jobs; bringing businesses; seeing startups develop; making sure that there are pathways, gateways for opportunity for people from the surrounding areas, the surrounding states, the regions, and in many cases, the world, because I think you’ve got a lot of immigrant populations that naturally gravitate towards the diversity and dynamism of the city. And although we have seen terrific progress in our cities, as we have across the country over the last several years — millions of jobs being created, the housing market starting to recover, businesses investing again, manufacturing making an extraordinary comeback — what we know is we’ve still got a lot of work to do to deliver a vision that we all share, which is an America where if you work hard you can make it. And what that means is, is that my hope and goal out of this meeting is we immediately set up a strong partnership with all the mayors here and all the mayors who aren’t here where we get a clear sense of what their vision is and how they’re trying to deliver services; how we can make sure that our kids are getting the very best education possible; how we make sure that we are creating the platforms, the infrastructure for jobs to succeed — or jobs to be created and businesses to succeed in these cities; how we make sure our transportation dollars are flowing in a way that maximizes economic development that hopefully reduces congestion and rush-hour traffic — I suspect that’s something that some of you have heard from your constituents about — (laughter) — how we make sure that there’s a strong social safety net there that is not a place where people stay over the long term but rather is a mechanism whereby people who have had some bad luck can get back on their feet and get back into the workforce. So I’m very much looking forward to the conversation. In the meantime, at the federal level, there’s some things that we can do to help mayors. If we, in fact, can get this budget deal completed and out of the Senate, we can get away for the first time in a couple of years from the constant brinksmanship and crisis governance that we’ve seen up on Capitol Hill that impedes growth and makes businesses and investors less certain about wanting to put their money in. So that would be an important achievement and that’s something the federal government can do to help make. One element that’s not in this budget that needs to be passed right away is UI — unemployment insurance. You’ve got potentially 1.3 million people who, during Christmastime, are going to lose their unemployment benefits, at a time when it’s still very difficult for a lot of folks to find a job. And that’s not just bad for those individuals and for those families, that’s bad for our economy and that’s bad for our cities, because if they don’t have the money to pay the rent or be able to buy food for their families, that has an impact on demand and businesses and it can have a depressive effect generally. In fact, what we know is the economists have said failing to extend unemployment benefits is going to have a drag on economic growth for next year. So there are some basic things that we can do just to create a better economic environment for these outstanding mayors. There are some areas — for example, raising the minimum wage — that could have a tremendous boost in a lot of the cities where there are a lot of service workers who get up and do some of the critical work for all of us every single day but oftentimes still find themselves just barely above poverty or, in some cases, below poverty. And so I want to congratulate all of them and I’m looking forward to, over the next three years for me, working with them for the benefit of their constituencies. Many of them may end up being around for 20 years and — (laughter) — so they’ll have other Presidents to work with. This entry was posted in economy, employment, video and tagged Barack Obama, budget, cities, investment, jobs, mayors, unemployment insurance on December 15, 2013 by Kat 4 Obama.